We admit that a root canal may not be a favorite pastime, but we’ll also bet that it’s not as bad as you have heard. The truth of the matter is that root canal therapy in Richardson is a fairly common procedure that is not uncomfortable or painful. In fact, a root canal eliminates the pain of an infected tooth, stops the spread of infection and could prevent the need to have a tooth removed. 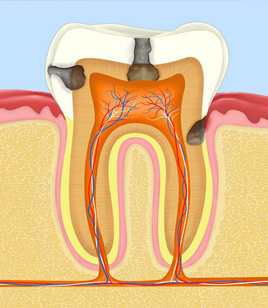 Unfortunately, the leading indicator that you have an infected tooth that needs a root canal is pain. As the bacterial infection inside your tooth grows, the trapped inflammation can cause pain that is excruciating. Some people do not experience any pain or other outward signs of needing a root canal. However, the infection will show up on an X-ray. That’s why regular dental checkups are so important. Your dentist may not only be able to spot infection, but may even be able to prevent this and other dental problems with professional cleanings and scheduled examinations to detect a cavity sooner rather than later. The procedure is really rather straightforward. 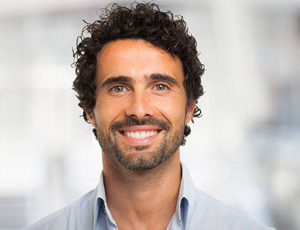 After administering a local anesthetic to the infected tooth and surrounding soft tissue, your Richardson dentist creates an access hole through the biting surface. Then, using special hand instruments, the infected tissue and debris are removed from the tooth’s pulp chamber and root canals. The interior of the tooth is disinfected and filled with an inert substance called gutta-percha, which expands in the hollow space to support the remaining tooth structure and prevent recontamination. Finally, the tooth is sealed. After root canal therapy, your dentist will likely give you a prescription for an antibiotic to ensure that the infection is completely eradicated. For a few days after therapy, the tooth may be sensitive. Try chewing on the other side of your mouth. For discomfort, an over-the-counter pain reliever such as ibuprofen or acetaminophen should suffice. A couple of weeks after having a root canal, you will need to return to the office to have dental crown placed over the tooth. This crown protects the remaining tooth structure and gives you the ability to chew and bite normally.